I’m a 27 year-old graduate student in acting, at CalArts. I’ve just embarked on the final year of my master’s degree and the fun and games are over in class. The focus has shifted from voice classes , movement and Shakespeare scene-study, to entrepreneurship. In less than a year, my classmates and I will be classically trained professional actors. But before we graduate we’ve got a whole lot to learn about the business of acting- these days it’s all about “booking the job”. On evenings and weekends, however, my mind is elsewhere– you’ll find me on the lower parking lot, renovating my 1951 Spartan trailer. I’ve convinced the school to let me park the 36 foot monster on campus. This gives me easy access to the Institute’s scene-shop and mostly importantly, to the theater school’s technical designer, Michael Darling. My carpentry skills are basic, at best, and Michael’s mentoring has been absolutely essential to the project. 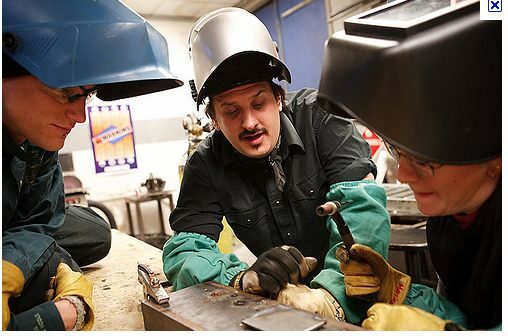 Sculptor and faculty member, Michael Darling works with CalArts students in the scene shop. In exchange for letting me house the Trailer Trash Project on campus, I’ve offered to put the Spartan to good use. 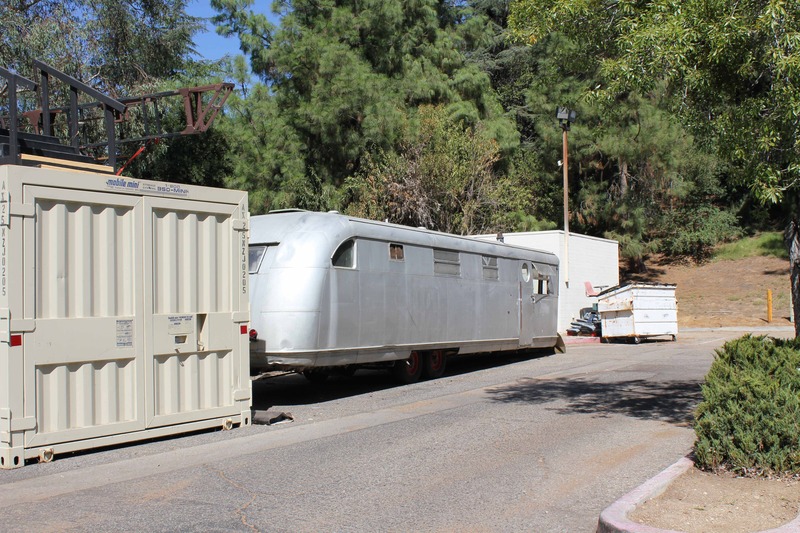 Once finished the trailer will be a home for my mother, a journalist and Katrina evacuee, but while it is being built I want it to serve as a work and performance space for the artist community at CalArts and beyond. …all artists are, at one time or another, displaced. We’re perpetually confronted with the reality of having to leave home to pursue our craft. 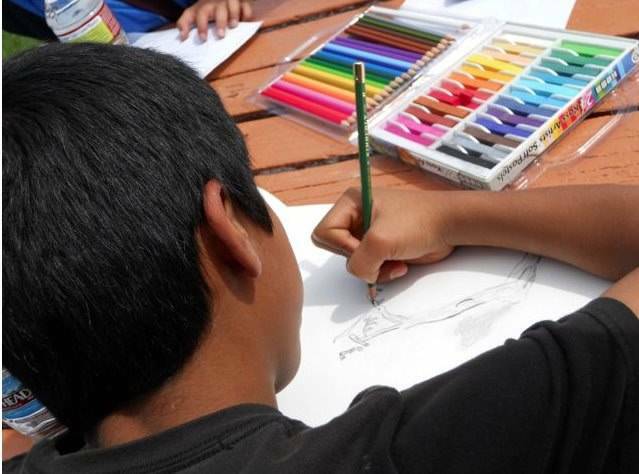 Art-making can often distance us from our families. And when we’re away, the feeling of longing inspires us to make more art. Over the course of 7 or 8 months, the Spartan will take the form of a mobile performance space/ make-shift classroom/ screening room, used to explore how displacement and artistry go hand-in-hand. 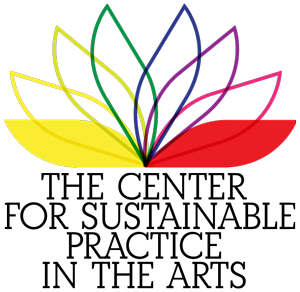 help her students develop and pursue their own social agenda. One of her latest projects is Nomadlab in nearby Newhall, which offers free creative writing classes to young students in the Valle del Oro neighborhood, who are at risk of gang activity. She’s offered to make the Trailer Trash Project a key element of her Arts and Activism class this year. Her students and I will be devising ways to use the Spartan as a means to collaborate with Nomadlab. But ultimately, I want to leave it up to the kids of Nomadlab to come up with ways in which the trailer can best serve their cause. 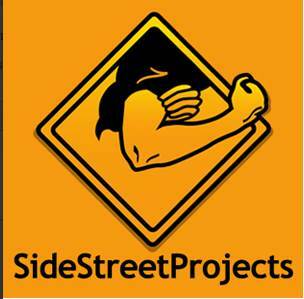 Another source of inspiration for my project has been Side Streets, a community arts project co-founded by Cal Arts, alum, Karen Atkinson along with RIDS grad Joe Luttrell, two artists committed to the belief that the creative process belongs in the streets as well as in studios and galleries. More on Side Streets in future posts. 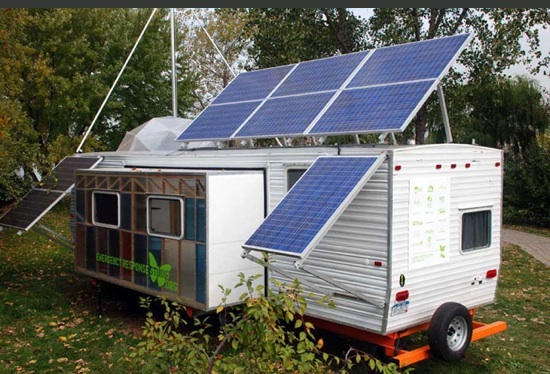 My mother, who has been researching and writing about the green revolution sees this trailer as an opportunity to display mobile, sustainable living. So we’re going eco! My Trailer Trash Project will be carried out in collaboration with The Center for Sustainable Practice in the Arts, founded by CalArts alumni, Miranda Wright and Ian Garrett. 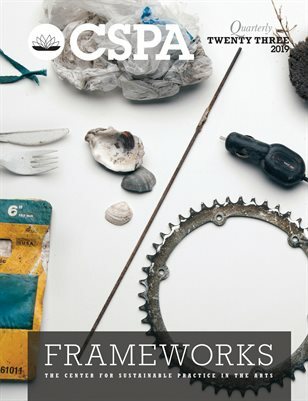 The CSPA is a network providing artists and arts organizations with resources to help them adopt more sustainable practices in their work. feasibly possible. (See for instance, posts on “green” insulation materials.) Believe me this is no easy task. To give you an example, I was convinced bamboo flooring and cabinetry was the way to go. It’s super renewable (it only takes bamboo 3-5 years to reach maturity) but in recent years controversy has surfaced over the use of bamboo: it has to be flown over from China, lots of chemicals are used in the manufacturing process, deforestation and others. Keeping up with this has been a little too much for me to handle right now– I’ve got my hands full as it is. So I’ve charged my mother with this task. 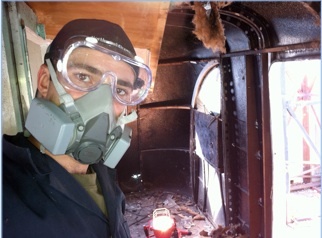 This blog has lots of interesting info about sustainable materials, information that Michael and I use when deciding how to proceed. Perhaps it will be of interest to you as well. Stay tuned. It’s going to be a wild ride! 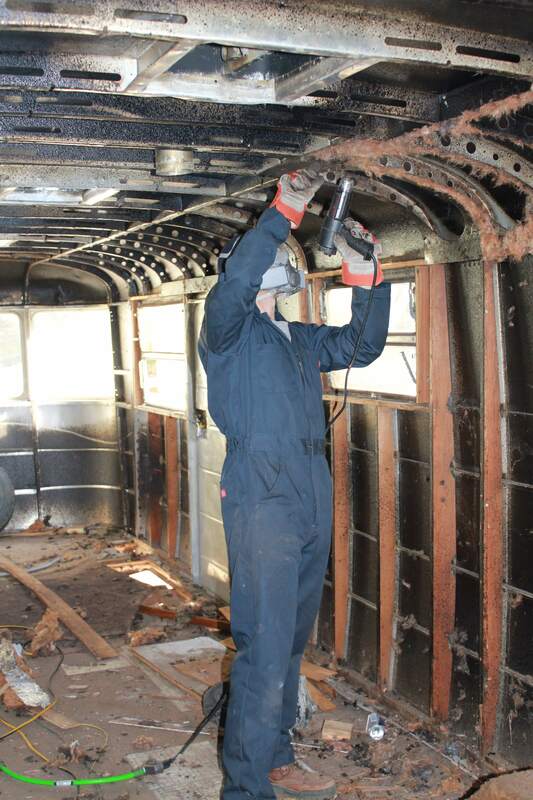 The CSPA is helping Sam Breen with the Spartan Trailer Restoration Project by serving in an advisory role, offering modest support and featuring Sam’s Progress by syndicating his feed from http://spartantrailerrestoration.wordpress.com as part of our CSPA Supports Program. What a great project! 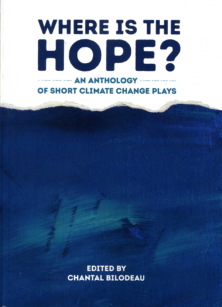 Love it and I’m looking forward to reading all about it in the near future as the project progresses and evolves. Love your project! 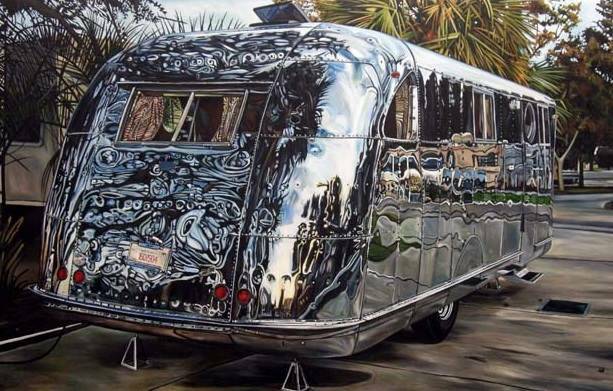 I’ve been in the process of writing an article called “The $3,500 House”, about my own artist renovated trailor, which I live in. Inspite of inflated housing costs, it’s no problem for me; as a professional artist, I’m free to worry about other things. I’ve often wished more people like yourself and your mother were around to bring creative attention to the fact that we have affordable housing all around us.